"Jug Island" and "Indian Arm"
This afternoon we checked out a new hiking trail (well, new to us). After a few kms of ups and downs, we came to a lovely little beach with a tiny island in front of us - Jug Island. 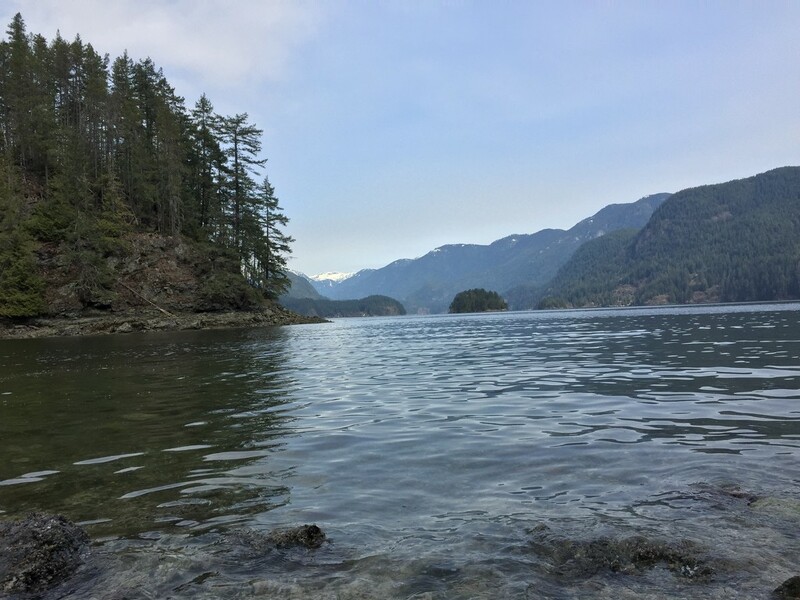 Behind, the cove is Indian Arm which looks infinite and is popular for kayaking, with people spending several days on the water and camping at the little beaches. Lovely landscape. Looks like it must be a wonderful hike.